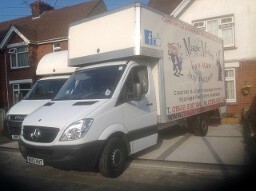 Magic Moves Ltd take the stress out of moving day with our reliable removals services. Are you looking for Couriers in and the surrounding areas? Do you need someone to help you move home and don't know who you can trust? Then Magic Moves Limited are here for you! With no limit on distance and numerous removal experts on our team you can rely on us to help you with any domestic or commercial removal services in the area. Whatever you need from the man with a van can be dealt with professionally at a time that suits you best in and at an affordable price for your budget. 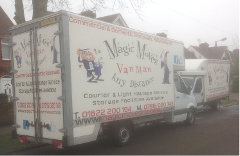 There is no need to break the bank when moving home, clearing out unwanted goods or storing business goods because with Magic Moves Limited, everyone can afford our services. Get in touch for more information by calling 07915 020 743 or 01622 200 194 to hear about Couriers in .